It was the English invention of the Starley ‘Rover Safety Bicycle' in 1885 that provided the catalyst for the ‘Golden Age' of cycling. Additionally the introduction of pneumatic tires provided another major boost to the viability of the ‘Safety' and in particular its use for racing. The cumbersome and often dangerous designs of the past were finally replaced by a safe design suited to all levels of rider skills. Its diamond shaped frame and equal sized wheels are to this day the basic elements of the bike. Of equal significance at that time was that the ‘Safety' was economically viable for many in the middle and lower classes (i.e. the majority of the population). This fact led to the bicycle becoming a vehicle for the masses and for the spontaneous evolution of bicycle racing. When Baron Pierre de Coubertin proposed reviving the concept of the ancient Greek Olympic Games at a congress in Paris in 1894, bicycle racing had firmly taken root across Europe. Coubertin's proposal became reality in 1896 when the first of the “modern” Olympic Games were hosted in Athens. Less than 250 athletes participated, which by today's standards seems small. However it was at that time the largest international sporting event ever held. In all nine different sports disciplines participated in the 1896 games. As would be expected, track and field with 12 events represented the historical roots of the ancient Olympic Games with the Marathon being the high point of the entire proceedings. Cycling with six events truly represented the modern age combining athletic prowess with technological advance. Paul Masson of France won three races on the track and appropriately the road race was won by the Greek rider Aristidis Konstantinidis. It was no accident that the re-birth of the Olympics should occur in the 1890's. Society as a whole was entering a new and dynamic phase of evolution. Technology had created the concept of cities focussed on manufacturing and this fuelled a mass movement of people from rural farming areas. A middle class was growing and issues such as workers rights and women's rights were fought for with great passion. Increasingly, recreation was becoming part of the ‘common' man's life, and the bicycle happened to be at the right place at the right time. Bicycle racing, both on the track and on the road, was springing up everywhere. This was the decade when two of the ‘Five Monuments of Cycling' were born. The Liege-Bastogne-Liege was first run in 1892 and the Paris-Roubaix was first run in 1896. Most cycling fans are fully aware of the great heritage of cycle sport with respect to the great one-day classics and the Tour de France (first run in 1903). However many may be surprised to learn that cycling has been featured at every edition of the Olympics since 1896. Three major factors have impacted the evolution of the modern Olympic Games format. Originally the ‘Games' were designed to uphold the spirit of amateur sport. This held well for many years until the emergence of the so called ‘Eastern Block' countries. State sponsored sports programs created what were essentially paid professional athletes. Increasingly the rest of the World was finding it all but impossible to beat these athletes. So during the 1970's the Olympic Committee opened the Games up to professional athletes. In cycling Hennie Kuiper of the Netherlands introduced this new era when he won the 1972 Road Race. The second major change to the cycling competitions was the introduction of women's races to the program in 1984. America's Connie Carpenter-Phinney won the road race which was also the only women's Olympic cycling event that year. 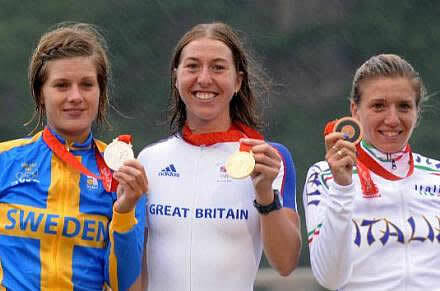 The 2008 Games feature a women's road race and road time trial and ten separate track races. The third major change is to the list of sporting events allowed at each Olympic games. 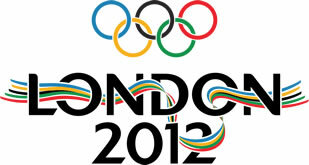 The Olympic committee must ensure that the program will fit into the two week allotted timetable. Most sports are continually creating new variations and there are many ‘emerging' sports that would dearly love to join the Olympic program. Consequently over time the cycling program has changed to accommodate the number of competitive slots allowed to the sport. Each sport is allowed to choose its own program and the UCI is the deciding body for cycling. For the 2000 Olympics the UCI introduced the Men's Madison race. For 2008 they introduced BMX races but had to eliminate other competitions to make room. For most traditional cyclists this was a very controversial decision. In the world of cycling it is interesting to debate the relative value of certain races. What would be the most coveted prize for a road racer? A victory in one of the ‘Five Monuments', a World Championship, a victory at the Tour de France or an Olympic Gold medal. One factor is that for road riders the big prizes are won as a member of a professional trade team. For the Olympics each rider is representing their country (not their trade teams) and the star riders are typically not afforded the same depth of intense (professional) team support. However when it comes time to re-negotiate a professional contract is an Olympic Gold of less value than say a Paris-Roubaix victory or a World Championship? No, the value of Gold is huge. In a statement less than three weeks before the opening ceremony of the 2012 Olympics World Anti-Doping Agency (WADA) president John Fahey said "I say this in the clearest way possible: if you are a doping athlete and you are planning to compete in London then you must withdraw from your Olympic team." Many of us believe that this season has revealed a “cleaner” cycling peloton and that any remaining cheats are being identified. Cycling came into the modern Olympics in 1896 during its Victorian ‘Golden Age'. 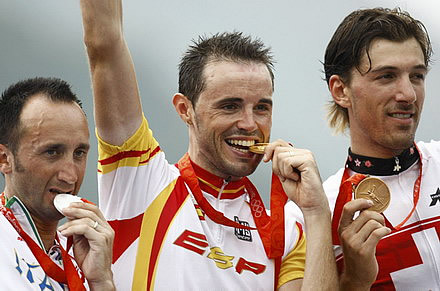 If the sport of cycling exits the 2012 Olympics without an Olympic drug scandal then maybe we can consider this entire year as the beginning of a new Golden Age of cycling.